Raising funds to support AHS Band and Pageantry programs is a large task! The Boosters are always looking for ways to support the programs AHS students enjoy. Sometimes, Lady Luck smiles down from above and brings a talented artist into the Band and Pageantry Family. Mark Frazier is one such artist! Mr. Frazier has donated his time and talent to create custom guitars. 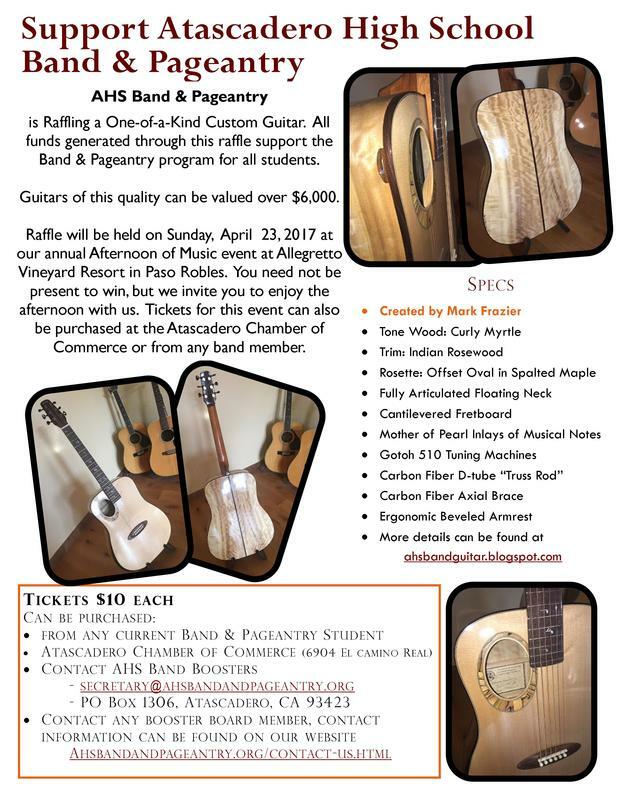 The guitar is then raffled off at the our Annual Afternoon of Music in order to benefit the Band and Pageantry programs at Atascadero High School. To follow Mr. Frazier's progress constructing this year's guitar visit his blog page. 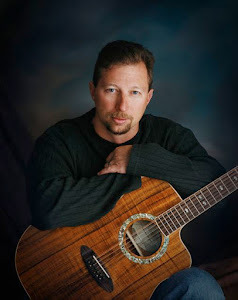 Thank you, Mark, for donating your time and talent to benefit the Instrumental Music Programs and Color Guard at AHS!